Clethodim 2E is a selective post-emergence herbicide used to control annual and perennial grasses in a wide variety of broad leaf crops including soybeans, cotton, flax, peanuts, sunflowers, sugarbeets, potatoes, alfalfa and most vegetables. For broadleaf control use Butyrac 200 sprayed separately!See Butyrac 200 listing. 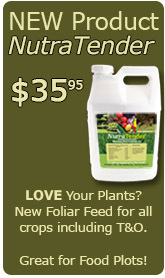 Approximate use rate: 12-16 ounces per acre. For small batch spot spray use: 0.5-1 ounce per gallon of water. Use Charge SOC (Crop Oil replacement) at 2 quarts per 100 gallons of water or 1 pint per 25 gallons of water (1/2 ounce per gallon water). For broadleaf control use Butyrac 200 sprayed separately! Clethodim 2E Herbicide is labeled for use on the following crops but always consult the label for specific crop information.